Cisco predicts that the U.S. market for mobile learning will grow from $7.98 Billion in 2015, to $37.6 billion by 2020. In light of those figures, organizations looking to make their employee training programs more relevant and effective will need to implement eLearning solutions on mobile platforms. In support of that practice, here’s a look at six reasons why mobile learning is so appealing to today’s modern on-the-go-learners. Modern learners have caused a shift in learning patterns. For them, learning needs to provide flexibility. It’s no longer about attending a formal employee training session at an appointed place and time. Modern learners prefer options - videos, podcasts, audio, and other multimedia formats - to stay engaged in a learning environment. They also want access to bite-sized learning sessions on their smartphones, enabling them to micro-learn while on the go. Flexible learning also enables modern learners to choose the order in which they complete their learning modules, doing some first and others later. That ability, along with multiple shorter lessons, has been shown to increase learner engagement and content retention. The shift in learning patterns has also produced a shift in the types of devices that modern learners want to learn on. After all, mobile devices such as tablets and smartphones are the devices that modern learners are familiar and comfortable with. This makes mobile devices the ideal platforms for delivering concise and engaging learning content in various formats to employee learners. And as previously mentioned, shorter learning sessions result in better engagement and retention. Learning programs and trainings by nature can be intimidating and frustrating for employees. This is especially true of formal learning strategies that require learners to complete courses involving large blocks of content that they must try to assimilate and retain in a prescribed amount of time. Fortunately, mobile learning has eliminated many of these frustrations for employee learners. That’s because eLearning on a mobile platform gives learners the ability to access learning content in small and concise amounts. Additionally, learners have access to various formats on the mobile device of their choosing, and at a time that works best for them. In this mobile learning environment, learners are less apt to feel intimidated and frustrated. In fact, studies show that mobile learners feel more confident and motivated to learn because they are experiencing better completion rates and higher retention of course content. Today’s tech savvy learners, while certainly equipped and able to learn on their own, are also big on establishing connections with others. That accounts for the huge popularity of social media sites and apps, especially among millennials. Thanks to mobile devices, modern learners can establish online learning communities that can make their learning experience more collaborative and successful. Studies show that courses delivered using the mobile format result in higher rates of learner engagement. That’s because modern learners find mobile courses more enjoyable to complete, because they deliver content in a consumable form and are less disrupting to daily routines. In an effort to make the learning process fun for modern learners, many organizations are turning to enterprise gamification. This strategy employs game design strategies, such as awarding points, badges, levels of achievement, etc., to make the learning process more fun, rewarding and engaging. Organizations that successfully incorporate enterprise gamification in their employee trainings typically see an increase in employee knowledge, improved adoption of company policies and best practices, and increased productivity. Not all modern learners learn in the same way or at the same pace. 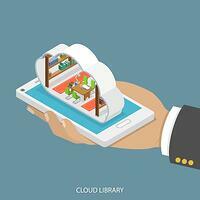 Mobile learning platforms take those factors into consideration. To improve the learning experience of every employee, mobile learning platforms offer personalized phone-based reminders and organizers to help learners stay on track. In addition, learners can get notifications and ongoing updates on their courses, which they can check on their mobile devices virtually anywhere and at anytime. A personalized learning path also allows modern learners to pick up their course work easily, right where they left off, while better retaining previous content. According to current estimates, approximately 47 percent of U.S. organizations have incorporated mobile learning into their employee learning and training programs. Given the benefits that mobile learning provides, the proliferation of mobile devices, and the rapid, continual increase in young modern learners in the workforce, there is little doubt that mobile learning will soon be the norm.